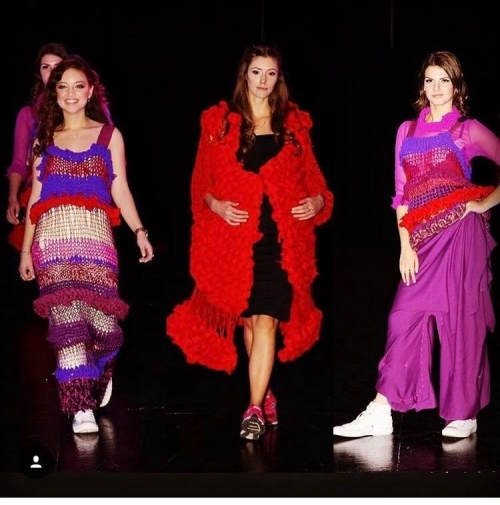 Every year the students of the Tanger Hillel at Brooklyn College design, organize, and produce a top-caliber Fashion Show to raise money for a worth y charity. Over 250 students and members of the community regularly attend the event, which receives public recognition. The goals of the program are manifold, the experience of planning an event this large and complex enables students to gain valuable real-life skills,whether their professional interests fall within the field of fashion or not. The single most important goal, however, is to raise funds for charity. Our program donated over $40,000 over the last 10 years to charities including NYS World Trade Center Relief Fund, Israel Education Fund/UJC, Children of Life Foundation, Chayal el Chayal, and The Israel Guide Dog Center for the Blind and The Koby Mandell Foundation. This amazing event will take place during the Spring Semester on March 3rd. If you would like to get involved, either as models, makeup artists, hair stylists, DJ, sponsor, etc please let us know at Yelena@bchillel.org.